When I started writing Wild Children, it was supposed to be a stand-alone project and, therefore, I was determined to tie any loose ends without exceeding the 100K or, at most, 120K words mark. It made things a bit rushed and strained in various points, but luckily a friend - who is worth her weight in gold as a patient first reader - pointed out that I'm fighting a losing battle here and that I'm never going to be able to wrap this up in one book in a satisfactory way. This gave me fresh inspiration and I began working on The Hourglass, sequel to Wild Children, which gives more extensive insight into the lives of the corrupt ruling elite and also takes the readers across the border to Mexico, where sinister plans are brewing underneath the noses of innocent, unsuspecting people. The narrative is told mostly from the perspective of Priscilla Dahl, the president's daughter, a fleeting glimpse of whom we get in Wild Children. I'm also planning a third book in the series, called Freeborn, which will focus on the next generation of outcasts and their refusal to be controlled by the government, whom they suspect (not without reason) of double-dealings and lack of respect for human rights. So is this it? Will Wild Children end up as a trilogy, or will there be more? I confess that right now I can't see anything beyond Freeborn, which will probably wrap up the series, but one never knows. In the meantime, I'm enjoying my work on The Hourglass, which allows me to dig deeper into the family life of Alexander Dahl, the arch-villain who discovers, to his annoyance, that human beings sometimes refuse to play the parts allotted to them. "Dahl thought that some quiet work in his home office might be more profitable than going on at the White Tower through half the night; Silver Oaks was a lot more private and better sheltered from reporters, and he was sick of reporters. He ordered the driver to take him home and tried to peruse a couple of documents as the car moved smoothly and almost soundlessly along the newly-repaired road, but it was no good. His thoughts were with Priscilla, and anger was bubbling up below the surface, hot and bitter and hard to suppress. I don’t understand. How could she do this to me? And precisely at this moment? If she had to run off because of some stupid teenage crisis, couldn’t she have waited until after the elections?" Attention: from October 26-th through the 28-th, Paths of the Shadow will be available for free download on Kindle! 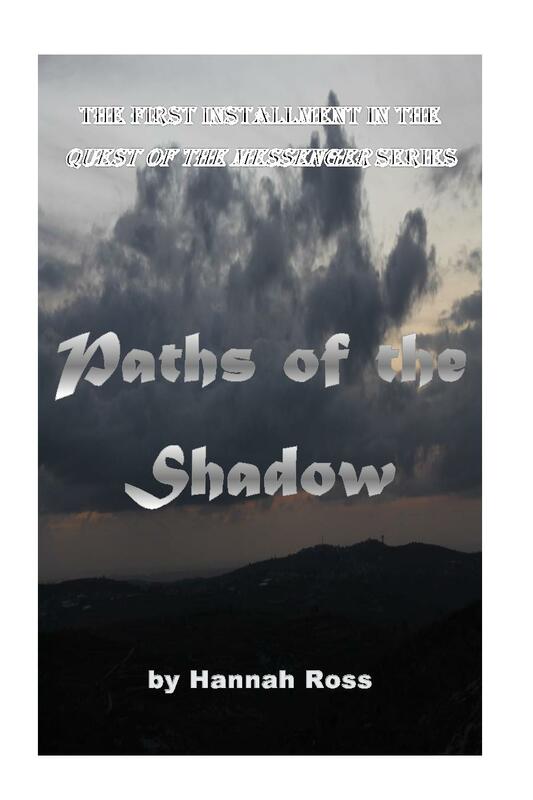 I invite all new readers to dip their feet into the vast imaginary world of the epic Quest of the Messenger saga. Also, the entire trilogy is now available on Kindle in one convenient bundle. I don't usually rant on this blog, or go at length into my pet peeves, but there's one topic I really feel should be aired for the potential to make the world a little better. It has happened to me more than once that I was besieged with reading requests, review requests, writing help requests, and I carved some time out of my busy day to do it, reading other people's work and providing helpful feedback. And when I was done, I received no acknowledgment - no "thank you", no "I appreciate it". Nothing. I'm not a vain person or an egomaniac, but we're talking common courtesy here. The way I see it, if you're asking someone for a favor - which a review or feedback basically is - you thank them. It's as simple as that. To ask a person to put in their time and effort when they don't owe you anything, and then omit sending a "thank you" message is not just rude, but also incredibly short-sighted. A book reviewer can be a lot more than a one-time contact. They can become someone who follows your social media, signs up for your newsletters, recommends your books to friends and reviews your next book without being asked. It is, in short, another option of expanding your social network, but it is unlikely to happen if you fail to acknowledge the goodwill of someone who responded to your review request. Bottom line: thank people. Always be polite and courteous, whatever the circumstances. You will never lose anything, and might gain a whole lot, by doing so. Jessica, of Coffee with Architects of Worlds Afar, invited me for an interview which can be read here - thanks a lot, Jessica! "Of the characters you’ve created, which one is your favorite? Quest of the Messenger comprises around 450,000 words and many, many characters, most of which I really enjoyed writing. However, the most interesting, enigmatic and controversial character in the series is probably Jadine, the talented, ambitious witch with, shall we say, an unusual moral standpoint. What I find most compelling about Jadine is that she genuinely wants, plans and tries to do what is best and right, but ends up in some pretty tragic circumstances."